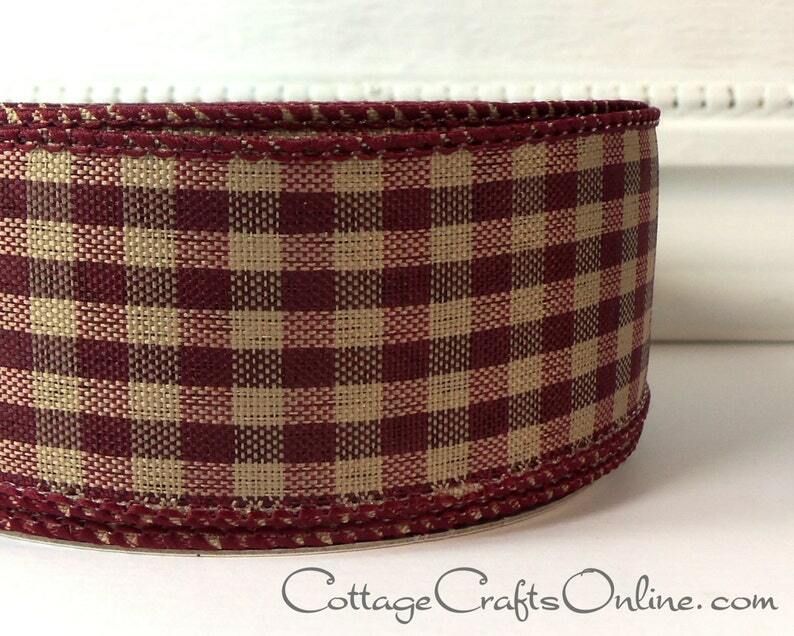 Burgundy red and tan gingham check, 1 1/2" wide, with a wired edge covered in burgundy thread. Good for rustic, prim and Americana style projects and decor. This listing is for a three yard length. If you purchase more than one, your order will be cut as one length.